Unsold TV pilot about two young race car drivers compete on and off the track. Tee Vee: [sees the bell has killed Escovez] Nice hat. 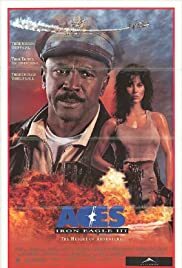 Aces: Iron Eagle 3 is a pretty good movie despite it's bad reviews I've read between critics and other IMDB users. 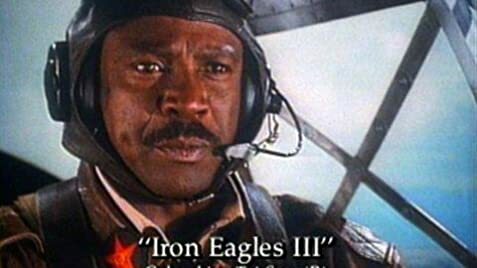 I didn't really go mad for the original Iron Eagle and I thought Iron Eagle 2 was rubbish but Aces: Iron Eagle 3 does get my approval. I like the idea of four different men from different countries coming together as one to fight on the same side. One huge flaw in this movie is the plot, there's no way old WW2 fighters, no matter how good they look, could take on modern jet fighters...it could be done, maybe if the modern fighters had no wings! Overall a good entertaining "TopGun" style movie, if a little unrealistic.